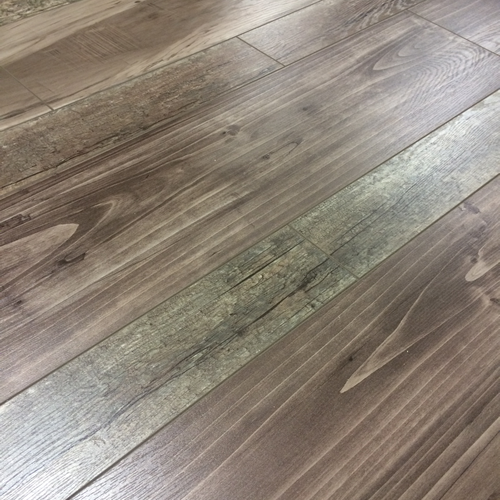 Floor Monster Flooring Blog - A mums perspective of picking the right flooring for your family. I think it would be a good idea to look at hardwood for the hallway, kitchen and dining room, then need to think about the girls rooms. Laminate would be good for them, I am thinking about makeup on the floor, so much easier to wipe off foundation from flooring than a carpet. Having looked about I decided on Engineered Pyrenees, this is a 20mm thick board, this is really good for the hallway, kitchen and dining room, it has a brushed effect and is a bit darker than the oak. The brushed effect was a good decision with having the dog, you do not see any marks that I think you would have with a smooth finish. Now for the girls rooms, do I go light or dark, not realising how much options I had to choose from, there are so many different colours. The eldest daughter decided that she wanted a dark grey colour and the youngest wanted something lighter. We decided that we really liked the Vermont Oak for one of the girls rooms, this is a dark grey oak finished, this is a floor that has random width of the boards, this looks amazing down and worked in really well with the room, that's one room done now for the other, we chose Innsbruck which is a lighter grey effect laminate, not too dark and not too light, she loves it. Now they are able to clean their spillages without having to worry about the flooring being stained. I did ask about cleaning the floors with a steam mop, I was told under no circumstances to use a steam as it could damage the floor over time. I have to use a damp mop and wooden floor cleaner, so glad I asked the question before starting to use the steam mop. I am so happy with all my new floors, they all look amazing down.